Standard operating procedure for the F-35 fan base. Attack the messenger. If you read carefully you'll see that the messenger in this case is the Pentagon's annual operational testing report for fiscal year 2018. Now do we know why the USAF is buying F-15X's? 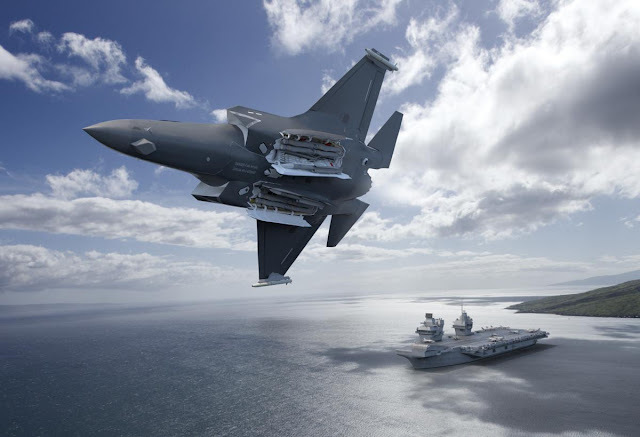 Now do we understand why the USN is pushing the Super Hornet buys and only purchasing such a small number of F-35's (we can do a reasonable guesstimate on what the competition between the Super Hornet and the F-35 revealed by the purchase plan)? What has me curious is the F-35B. I've said that it is the one model that is delivering on the promise of being better than the legacy airplane. But is even that true? Would an upgraded Harrier successfully compete with the F-35B? Would it have been cost effective? One thing is certain. More and more info is leaking that shows that the F-35 program is as bad as many of us feared.